Adhiraj attempts to kill Devi. He takes her to the echo point. He confesses love to Devi. He shouts out his love. He asks Devi to confess love as well. Devi shouts I love you Adhiraj. Adhiraj asks her to step ahead. She slips down and asks him to hold her hand. Adhiraj was about to push her. He gets glad that she slipped on her own. He takes a step back. He makes her fall down the cliff. She hangs to the tree and shouts for help. He cheats Devi by his love. Devi can’t believe that Adhiraj gave her death in return of her love. She gets scared facing the death. Adhiraj had hidden this planning from her. He is mistaken that Devi was trying to kill Maasa. He doesn’t know the truth. Adhiraj shows his devilish side again. He takes revenge from Devi. Devi couldn’t expect enmity from him. Devi shouts to him for help. Adhiraj gets compelled to help her, after thinking of Devi’s concern for him. 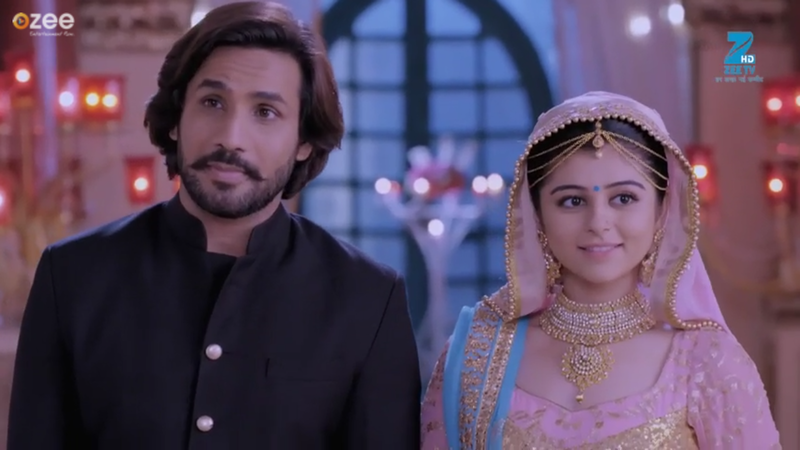 Will Adhiraj save Devi’s life? Keep reading.